← What’s The Real Goal of a Travel Program? Surely a ton of travel creates unique strains for road warriors and their families. Fortunately, these problems are fairly predictable, and can be managed with a bit of planning, effort and honest communication. If you know a road warrior or two, read on, as they may well benefit from the sage advice from Megan Bearce, author, licensed marriage and family therapist, and wife of a road warrior. I connected with Megan on the issue of traveler friction, something she knows well, especially as it impacts couples and families. She’s written a terrific book on this subject, and offers the following practical advice. I am happy to report that whether you are a road warrior or a “super commuter,” (employees who travels 90 miles or more to their job), physical separation doesn’t have to mean emotional distance. 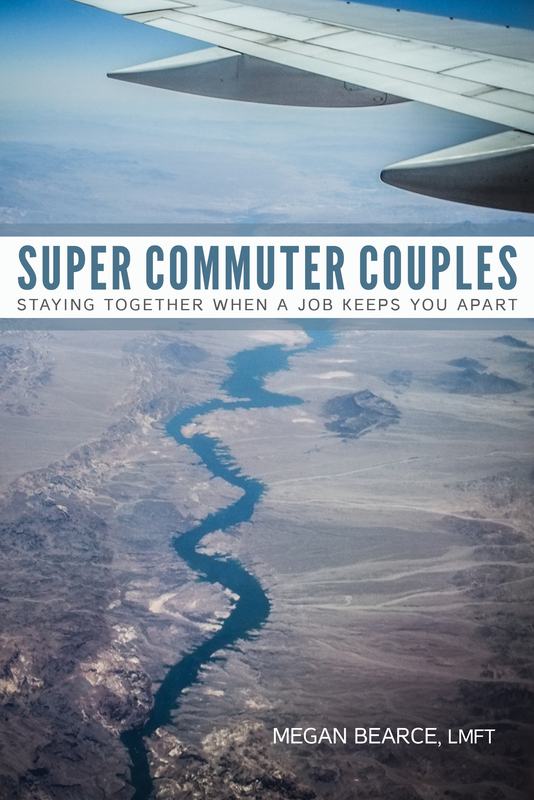 Below are three strategies from my book, Super Commuter Couples: Staying Together When A Job Keeps You Apart, to help your relationship thrive despite being apart. People assume that reuniting after days on the road would be exciting, but in reality this “re-entry period” was the most frequent source of tension cited by couples. Often your spouse creates a system for when she or he is alone, so when you return, it can quickly become apparent that each of you has a very different style of parenting, of loading the dishwasher—you name it. So how do you go from “me” to “we”? Do you want 10 minutes of alone time after you walk in the door? Does your spouse want a date night away from the kids? Discussing how each of you prefers to reconnect, and acknowledging that it can be bumpy at first, are both key in making the transition phase go smoothly so that you can enjoy quality time together before one of you heads out on the road again. Create a support network to make your life easier by hiring a handyman, a babysitter, a lawn service, or a cleaning company. Knowing you can come home from a business trip and not face a long “to-do” list, or a spouse who is exhausted from shouldering domestic responsibilities, can benefit the whole family. Think of it as an investment in the health of your relationship. You can read more about how my husband and I have made a cross-country super commute work for almost years 6 years here. I bet you’re shocked to hear me in my therapist role suggest that couples need to communicate! Despite more ways than ever to stay connected, people don’t always do it in meaningful ways. Because life changes when you are away, especially when kids are involved, FaceTime with them and keep in touch with your spouse via apps like Couple or Snapchat. Don’t underestimate the power of a quick text saying, “I love you” or a note left on the coffee maker before you leave. A recent article stated that the most important thing to do in a relationship is ask, “How are you doing today?” Start each phone call or text with that question, and then really listen to your spouse’s answer. Scott here: Thank you, Megan, for sharing such valuable insights! I found your book very insightful and practical. A big part of dealing with traveler friction is understanding how road warriors feel about all that travel. For a free copy of a 13-page groundbreaking study of traveler friction, text TCLARA to 22828. This study is sponsored by American Express GBT, ARC and tClara. This entry was posted in Traveler Friction and tagged Megan Bearce, supercommuter. Bookmark the permalink. Thanks to Scott & his colleagues for your research to help support these employees. Important work!